RO15CTV VOLKSWAGEN PASSAT 1.6 SE BUSINESS TDI BLUEMOTION TECHNOLOGY 5d 119 BHP- 85K miles- 2 Owners from new - New Facelift model! The Passat looks stunning with its new facelift interior and exterior and boasts a massive specification of Front and rear park sensors, 17" alloy wheels, Rear light privacy glass, Multifunction steering wheel, Cruise control, Sat Nav, Traffic Updates, DAB Radio, FM/AUX/USB, Bluetooth, ISOFIX, Air conditioning, Drive mode select, electric windows and remote central locking . 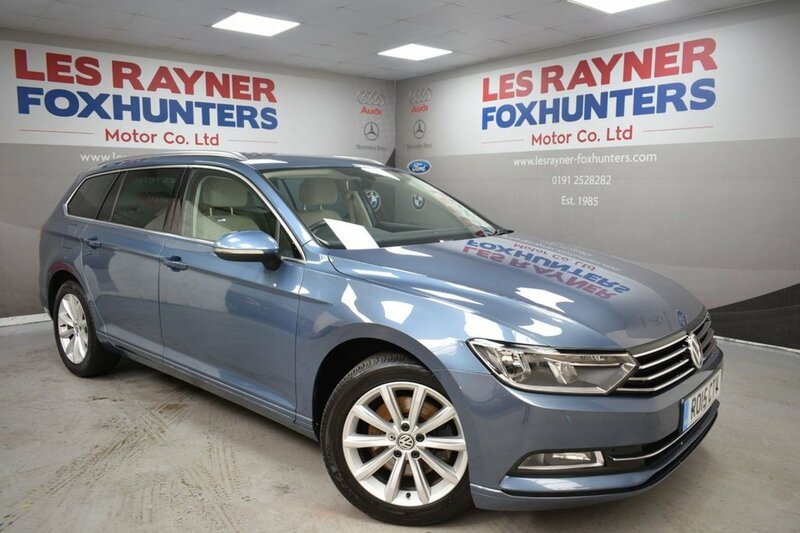 Due to the such low emmisions the Passat Business edition is only £20 to tax for the year and returns fantastic MPG ! Great Value for money ! MPG Extra	76.4 MPG Combined	68.9 MPG Urban	58.9 TO VIEW ALL OUR STOCK VISIT www.lesrayner-foxhunters.co.uk We are a family run business that has been established since 1982.All of our cars are HPI clear and come with a 12 month MOT, Full Service and Pre Delivery Inspection so you can buy with confidence. Personalised Videos and Facetime available! LOW RATE FINANCE! BESPOKE HIRE PURCHASE, PCP & LEASE PURCHASE PACKAGES! PART EX WELCOME! NO SALES ADMIN FEE!